A lot of people would agree that the three Abrahamic religions, Islam, Christianity and Judaism, if not read in a new and progressive way, are very patriarchal in character, and women are usually minor characters in the stories of men. The Old Testament, the very basis of all three religions for instance features 48 male prophets, as opposed to seven prophetesses, and even the latters' stories are only revealed in fragments, embedded in the more cohesive stories of their fathers, husbands, brothers and sons. Consequently, also the sites considered to be holy by those same religions are also mostly concerned with the deeds of male characters. 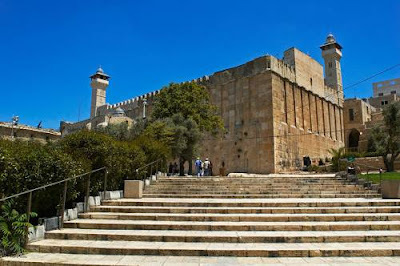 Take for instance the Cave of the Patriarchs in Hebron/AlKhalil, known to Muslims as the Sanctuary of Ibrahim, or Ibrahimi Mosque, which is rarely referred to as the Cave of the Patriarchs and the Matriarchs, although it is the burial site of both Abraham, his son Isaac, and his grandson Jacob, as well as that of their respective wives, Sarah, Rebekah and Lea. The reference to the burial site as that of the patriarchs is however not surprising, if we look at the way that the matriarchs are referred to in Genesis. Rarely are their names mentioned, and much more frequently are they referenced through the actions of their husbands and sons, such as "Abraham took his wife" etc. Exum writes that while the three patriarchs "die peacefully, surrounded by their sons in a grand show of unity and harmony", the matriarchs "are never more absent from the narrative - even when they are mentioned by name - than at the moment of their death". At the same time however, if we look more deeply into the narrative, we will be able to reinscribe the importance and even the power accorded to the matriarchs. Take for instance Sarah. Her husband Abraham had many sons from different wives and is therefore known as the "father of many nations". Yet God decided that only Sarah should be the mother of the Chosen People, the Israelites. Hence, if read against the grain, it is Sarah the matriarch, not Abraham the father of many, who makes the difference and who constitutes the decisive factor as to whose descendants the Chosen People are. According to many scholars Miriam's song is the original song, and was only later followed by the Song of Moses, which eventually took the focus away from Miriam and instead placed it on her brother. Those same scholars argue that Miriam's Song was written in gender-neutral pronouns and should therefore be interpreted as being directed at the entire community and not just at the Israelite women. 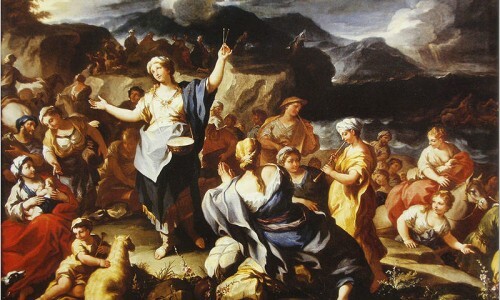 Following feminist scholars, Miriam's role in the scriptures is that of a leader, yet continues to be overlooked in favour of male leaders and heroes. A few years ago, an Israeli archaeologist found what he considers Miriam's Well near the Tiberias Municipal Beach, in the North of Israel. According to a Midrash (a form of Biblical exegesis), Miriam's well accompanied the Israelites on their journey through the desert and was eventually taken to the Land of Israel. Although the site commemorates the important deeds of a Biblical prophetess, the Tourism Office does not plan to develop the area as a tourist attraction. 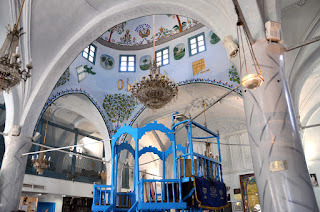 In the same region we also find the Tomb of the Matriarchs, the burial site of Zilaph (handmaid of Leah), Bilhah (handmaid of Rachel), Jochebed (Miriam's, Moses', and Aaron's mother), Zipporah (wife of Moses), Elisheva (the wife of Aaron) and Avigail (one of King David's wives), yet also this site seems to be underdeveloped when compared to others commemorating Biblical men. 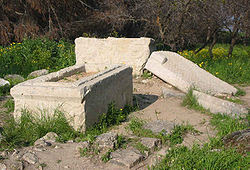 Even the grave attributed to Deborah, which is located in Tel Kedesh, or today's Kibbutz Malkiya at the Israeli Lebanese border is rarely cited among the important holy sites. Like Sarah and Miriam, Deborah was a prophetess, but also the only female judge in the Bible, as well as a warrior, and thus one of the few women of the Old Testament whose story does not necessitate as much reinterpretation. Fortunately there is a growing body of literature that engages itself with alternative and more progressive readings of the holy scriptures and that suceeds in finding therein the greatness and strength of many women. Following those alternative readings, how about going on an alternative pilgrimage tour to commemorate and pay tribute to some of the great women of the three religions? 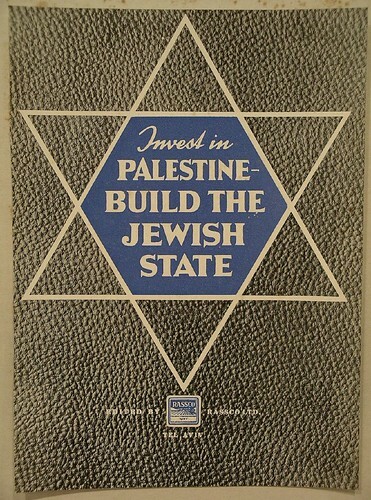 Miri -- I love reading your articles. I've been to Israel/Palestine twice since 2009, and have found some of my greatest joy in visiting notable sites from the Hebrew Scriptures. An alternative pilgrimage tour to commemorate and pay tribute to some of the great women of the three religions sounds great! It's exciting to think about and I hope it might become a reality.